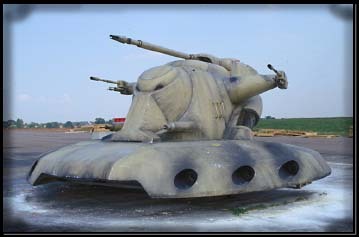 The battle tank was used by the Trade Federation to ward off Naboo's forces during the battle of Naboo. As you can see, it has several blaster cannons and heavy armor. It is about twelve feet high and is operated by battle droids. It has only appeared in The Phantom Menace.